The European Meeting of Young People’s Audiovisual Creation – Camera Zizanio is not a festival, and it’s not a school competition either. It is a “Meeting”, a crossroad, a meeting point, a place of exchange and creation, in an absolute spirit of freedom. It is open to society, beyond boarders, beyond stereotypes and prejudices, with respect for diversity. In our program we choose to prioritize creations that meet these broader goals. We select films that are the original voice of young people. These films highlight concerns, anxieties, claims, and reflections on the future. And that way they give an example of our time. Camera Zizanio has selected 248 young creations to present you this year in its three Sections – the Greek, the European and the International. We have received over 1,800 entries – a record number. We had to make a rigorous selection. 19 films for the International Section, from 10 countries from all continents: Argentina, Peru, Brazil, the United States, Australia, Armenia, Azerbaijan, Iran, Iraq and India. Films that will surprise us! 97 films for the European Section, from 27 countries in Europe: Austria, Belgium, France, Germany, Denmark, United Kingdom, Ireland, Spain, Italy, Kosovo, Croatia, Bulgaria Cyprus, Belarus, Lithuania, Netherlands, Hungary, Ukraine , Poland, Portugal, Romania, Russia, Serbia, Sweden, FYROM, Moldova, Turkey. 132 films for the Greek Section, in which we screen all films created by young people inside or outside the school environment. The only requirement is that they follow the regulations. This year we had an entry record compared to last year that was 123. Simple addition shows that in the 17th Camera Zizanio we have films created by children and young people from 38 countries. In reality, though, this number is much greater if we include the millions of children forced to expatriate in order to find a safe refuge because of war, economic crisis or climate change. This gloomy reality is also reflected in the children’s creations; this year, more than any other year. Migration, refugees, economic crisis are the predominant issues. Identity search in our historical roots is a topic we often encounter, as is the excruciating questions in teenage films: who are we and where do we go to. These questions, of course, are accompanied by the dream and hope that everything will change. 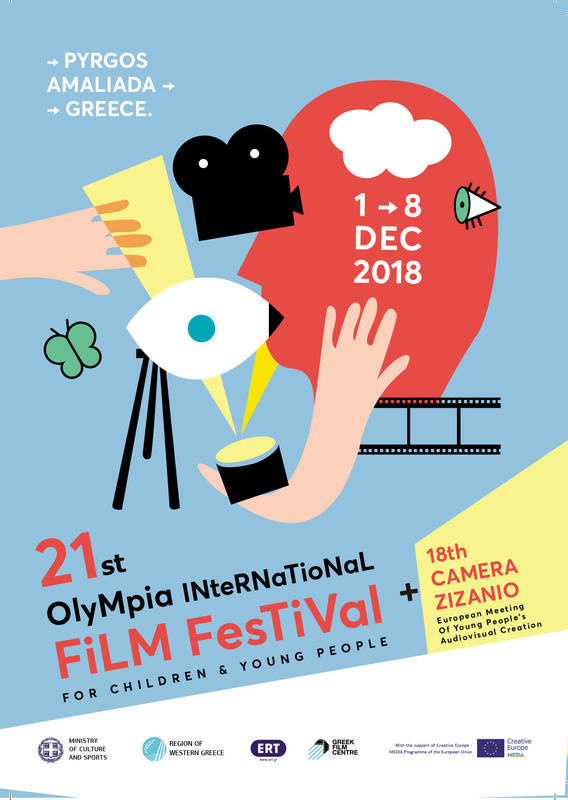 The new reality is highlighted and displayed by the 17th Camera Zizanio through a special section – an event that presents films created in refugee camps in Greece, with the presence of the children that have created them. At the same time, the 17th Camera Zizanio is preparing itself to welcome over than 120 young people from many European countries and hundreds of children from Greece. This will surely be the largest forum for dialogue and artistic creation (through the multinational cinema workshops of the Festival) that has ever taken place in Greece. In this way, Camera Zizanio is not the end of a route but the start of a new one, hopefully a much more interesting one.